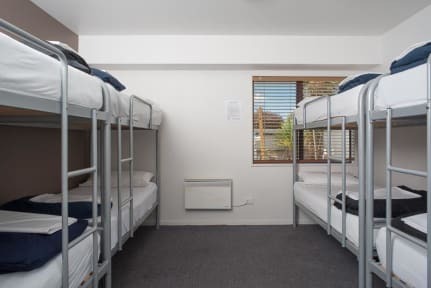 Our private ensuite rooms come with a super king double bed, heater, tv, fridge and tea/coffee making facilities. All linen is provided. 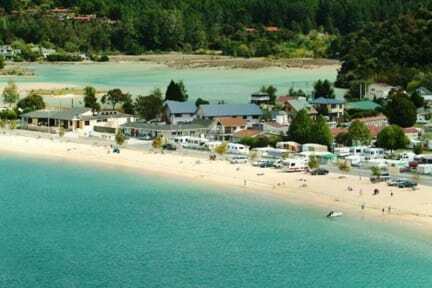 Kaiteri Lodge is also shared with Kiwi Experience, a national in-bound tour bus operation. The lodge has the following facilities available to all guests: Activity booking desk, TV room, Laundry, Wireless and Kiosk Internet, BBQ area and a shared kitchen with all necessary cooking utensils.